It’s so sad that I haven’t been able to post my features these past few months but I promise to find time in the coming weeks to do so. 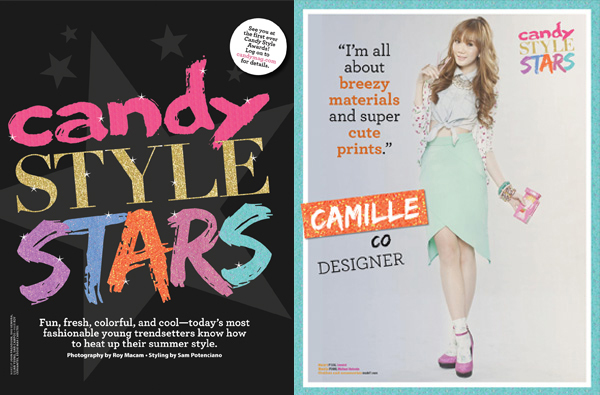 In the meantime, let me show you my latest feature on every teen girl’s favorite magazine, Candy. I’m one of the lucky 8 to be chosen by Candy as their Candy Style Star! How cool! Little behind-the-scenes info on my shoot, those are real Pocky biscuit sticks I’m holding. Yum! I kept eating them while my photo was being taken haha! They’re so yummy I couldn’t resist, by the time our shoot was done, so was my box of Pocky. Anyway, enough about my nonsense story and on to more pressing matters (well, not really, but it’s important!) 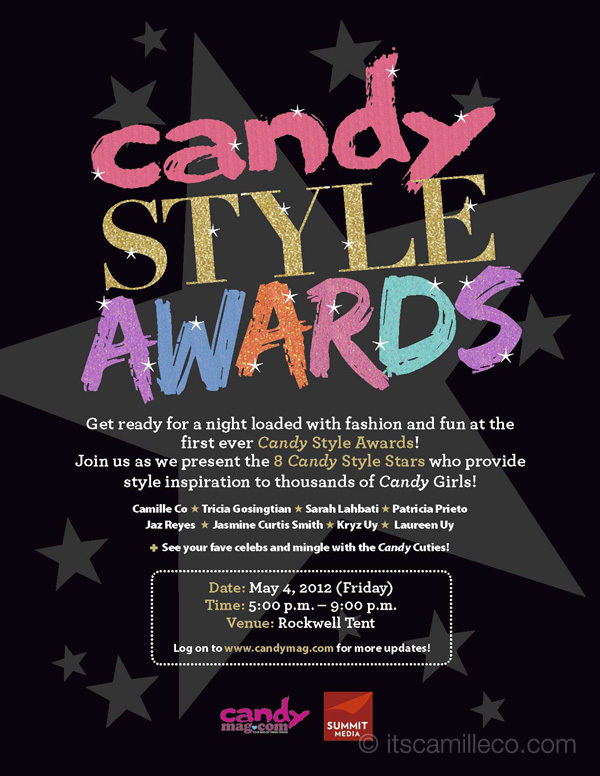 I’m inviting you to please attend Candy Magazine’s FIRST ever Candy Style Star Awards tomorrow at Rockwell Tent. Doors open at 5pm. Tickets for the Candy Style Awards are included in Candy Magazine’s May Issue so if you still don’t have one, I suggest you purchase one right away! It’s going to be loads of fun, as with all of Candy’s events! Not only will you get to meet us Candy Style Stars, but you’ll also see your favorite celebrities (I heard Elmo Magalona and Someday Dream are performing) and spend time with your favorite Candy Cuties! See you tomorrow, Candy girls! continue being GORGEOUS! God Bless! Thanks for being my FYS :) Dress is from Topshop, accessories from everywhere! I’ll blog about it soon! Hey, wat happened with this award? any updates? I already got my award :) It was such a fun event! Yay! Thanks Reia! See you! Hi! Blogger :) I’m Spanish and I just found your blog! It is fantastic and your photos too! I follow you now. It is! :) Thanks Alison!